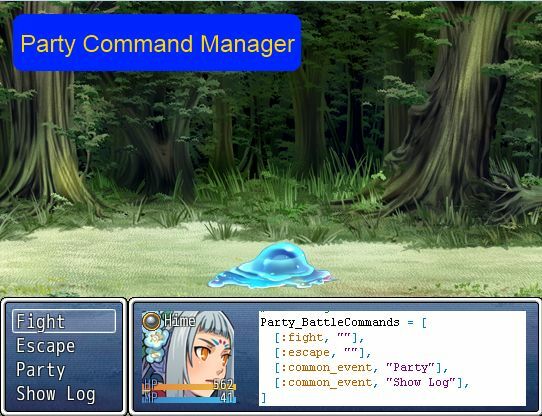 In the configuration, you can set up party battle commands. These are the commands that are available before you pick individual actor commands during battle, if your battle system supports it. Where the command_symbol specifies which command you want to use, and the arguments may be used to change how the command behaves depending on what values you provide. Each add-on will specify which arguments are available. These are the commands that come with the default battle system.